Power generator and 24 V alternator. Full service records available. Cruising speed: 6.5 knots @ 1250 rpms @ approx. .8 gph. Engine very well maintained. Transmission is BW 4.5:1 with double universal joints in drive train; shaft is forward-mounting, heavy duty. Double taper rolling bearings, plus ball bearing HD carrier shaft bearing forward of propeller shaft seal. 4-blade 15 bronze propeller. Electrics:	12 V DC with circuit breaker panels  custom built by CS Yachts (ABYC). The original owners of this Reliance 44, Beau Geste, due to advancing age and related health issues, must sell her. She is a serious blue water cruiser offering comfort, speed and reliability  a classic in every dimension, and merely needs someone to bring her to fruition. Being more than 80% complete — some cabinetry work remains and a minimal amount of plumbing; wiring is complete. She could use a 2 full weeks in a workshop, or the average person, adept at woodwork, could complete what needs to be done in perhaps 4-5 weeks. This boat was built in Montreal, Canada, and launched in 1998, she is a very attractive and a powerful long-range passage maker, with beautiful sweeping sheers, long graceful overhangs and full keel. Beau Geste was built for a couple, a small family, or a large crowd — all principal control lines lead back to the safety of the cockpit. She is a joy to sail  safe, strong, practical and low maintenance. 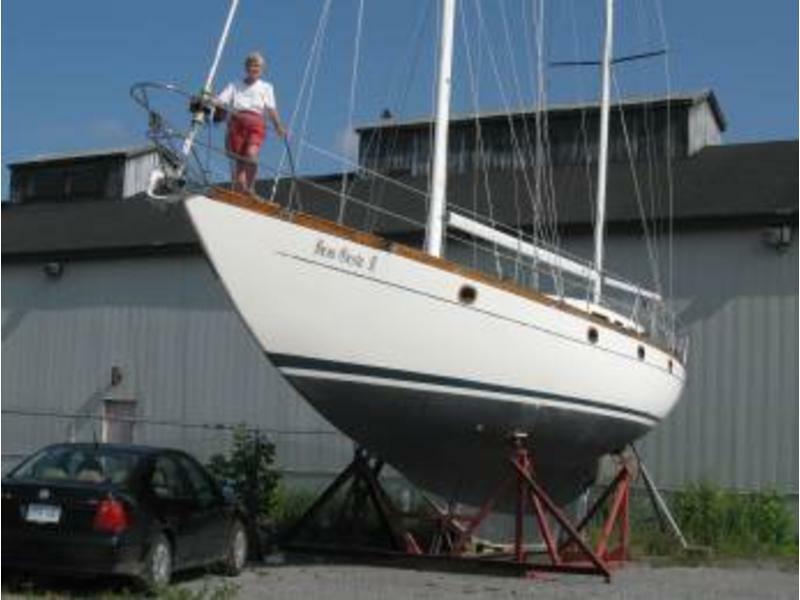 Personally and lovingly assembled by the owner, a professional engineer, she has been given exceptional attention to every detail (plans were to spend time in the warmth of the Caribbean  away from Canadas cold wintry months!). All materials and fittings are significantly above standard; her ballast is poured lead, her hull is constructed of high impact 1 balsa core to the waterline (considerably well above production hulls), with expertly crafted, hand laid, glass moulding to make her immensely stiff, sturdy yet light, and very well insulated. Below decks is a large, spacious 3-cabin layout with numerous bronze offshore-rated opening hatches and ports with screens, hand-crafted teak details and loads of storage space. Heads (2) and stainless steel galley materials are available for quick installation. She is very well priced and the owner and his lovely wife and are looking forward to a quick sale; all reasonable offers are welcome and will be considered.